This band is actually quite well known and praised as the best death metal band in their whole region, and since I already have posted a lot of Asian metal bands, I think they deserve to be on here too. 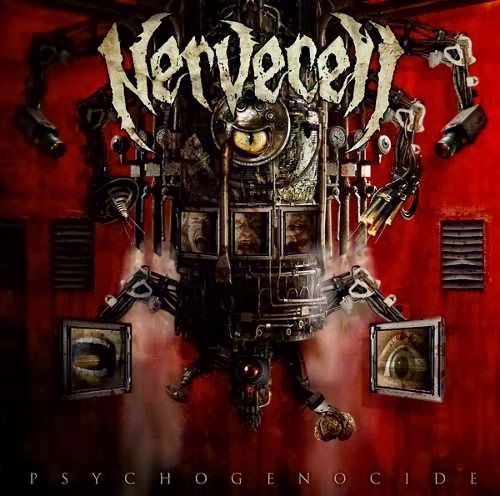 Nervecell were formed in 1999 (according to other sources, in early 2000) in Dubai, but the band members are originally from Lebanon, Jordan and India - which isn't surprising since Dubai is a city of immigrants for the most part; most other metal bands in the UAE (which are very few) have a lot of non-Emirati members as well. Their music is standard death metal, nothing really outstanding or groundbreaking in there, but nevertheless it's quite good by any standards. As for the download links - it wouldn't be hard to find them in google, I think.